ILIGAN CITY — It was in the afternoon of May 23, when Jamie Lambas heard gunshots and explosion from her residence in Marawi. She was advised to evacuate, but was hesitant at first. She was not ready to leave her properties and was so afraid with nothing on hand. She was trembling and she did not know what to do. Later on, when the blasts were unbearable, she decided to leave Marawi with her daughter as soon as possible. It was at this time when news about Marawi siege startled the nation. This is one of the many stories of evacuees from Marawi. But Jamie Lambas, together with other Maranao youth leaders and facilitators, chose to provide psychosocial support to their fellow evacuees. 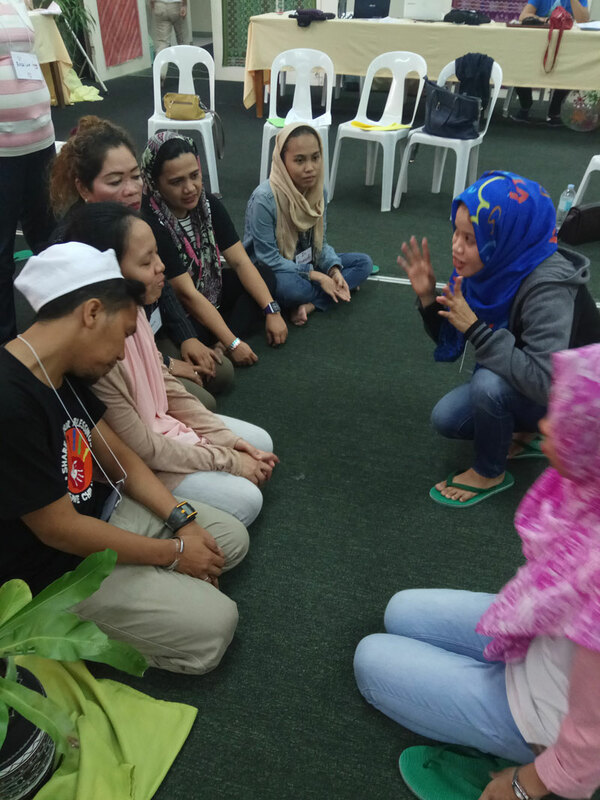 Twenty one participants, including Jamie, went through a 3-day Psychosocial Support (PSS) Training titled as “May K Ka Ba?” last June 22 to 24 organized by Balay Mindanao Cagayan de Oro City. On their first day, they were given lectures about the essence of psychosocial support and intervention, stress management and nonviolent communication. Psychological Association of the Philippines member Lyra Verzosa, pointed out that psychosocial support focuses on the whole being of people. “Misnomer ang pag-aakala na ang PSS ay kwentu-kwentohan lang at ang focus ay damdamin. Binibigyang halaga at atensyon nito ang iba’t-ibang aspeto ng pagkatao tulad ng dimensions ng intellect, cognition, feelings, emotions, body, behavior and social (relationship)”, Verzosa said. This is evident in their first activity dubbed as “Bata Banderitas” where the participants were asked to write or draw their feelings, fear, talent and skills, sources of hope and courage and their dreams on the specific parts of the paper cut-out child’s form. In the afternoon, they were given a lecture about self-awareness and self-care by MSU-IIT professor Saturnina Rodil. She also advised them to be mindful of the contents of their mind because those are the main contributors of stress. Another stress management lecture that the participants attended was given by Dr. Mary Jean Cruz. In her lecture, the participants tried her Magnesium, a natural pain solution. Afterwards, the participants were guided by peacebuilder Amina Mambuay, in communicating nonviolently. She proposed to them four steps in practicing nonviolent communication: observe the situation, know the feelings of the people involved in the situation, assess their needs and make a request to help them augment their needs. On the second day, the participants experienced the different Psychosocial Support activities and got to facilitate an activity. On the third day, as an application of what they learned in the training, they went to Saguiaran, Lanao del Sur, and conducted PSS to the evacuees in the place. 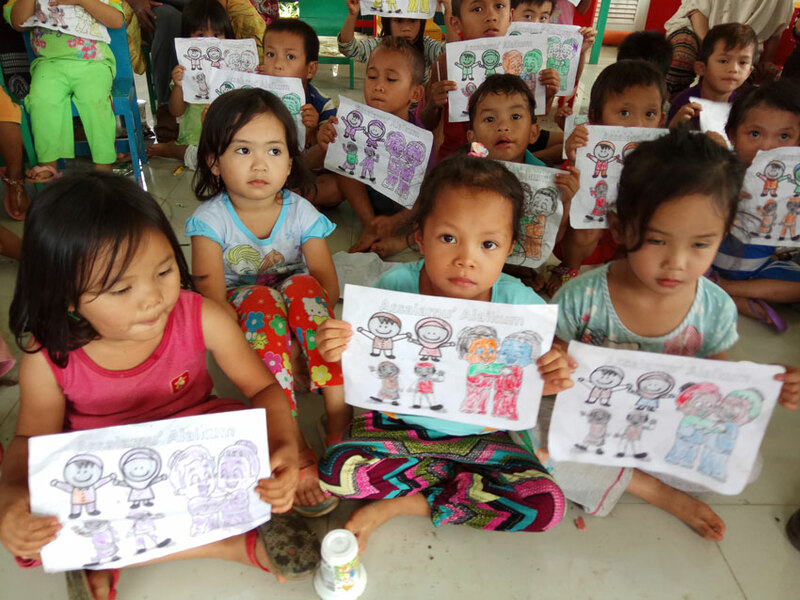 350 children from Barangay Pawak, Comunal, Dilimbayan and Salucod in Saguiaran with age ranging from 2 to 15 were provided with coloring, singing and gaming activities from the PSS volunteers. Those who were assigned to give PSS to adults, including Jamie, had an informal sharing of experiences and feelings and discussion about stress management and disaster response tips with different groups of adult evacuees. After conducting PSS, the volunteers joined in distributing around 1100 food-packs for the evacuees in those areas. One of the participants of the training, Usman Mohammad, was thankful he volunteered in conducting PSS and in helping in food packs distribution. “Kung nangangailangan kami, mas nangangailangan sila,” Mohammad said. Another volunteer from the training, Jam Sarip said something changed about him after the training. “I don’t like kids before, but because of the PSS training, I understood why children act as they do–they need our love and attention,” he said. Militants have been street-to-street battles with Philippine Army, killed civilians, bombed and burned buildings in Marawi City since May. This spread of violence pushed the residents in Marawi to evacuate. Giving psychosocial support to evacuees wouldn’t kill the root of the problem. Nevertheless, its goal is not to solve problems, but to help people feel that problems are light.